When we are already struggling to contain the traffic on our heavily congested roads, what is the need to have such vehicles? These vehicles do not transport anything or anyone; they take up valuable space, and add to the pollution. 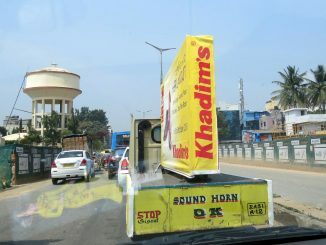 Can the government not ban this form of advertising, which adds to the traffic woes of Bangalore? Why can these vehicles not be banned?